You'll be £30.00 closer to your next £10.00 credit when you purchase The Panavia Tornado: A Photographic Tribute. What's this? Order within the next 9 hours, 1 minute to get your order processed the next working day! Through a collection of dramatic and informative photographs, supplemented by cutaway illustrations, this book highlights the agility and flexibility of this dedicated RAF aircraft. Throughout the course of its career, it has formed the backbone of the RAF across its many different theaters of operation. Utilized in a strike, anti-aircraft, air superiority, air defense, reconnaissance, electronic warfare and fighter-bomber capacity, this aircraft type has enjoyed an immensely varied career. Each aspect is illustrated in this photographic celebration. The book includes photographs by the author and a select number of other amateur photographers, with the vast majority of photographs – never previously published – taken low level around the hills and mountains of England, Scotland and Wales. This impressive new photographic publication will be presented in full colour and is sure to be prized as a collector's piece amongst fans of the genre. In my view a photo collection for the real lover of aerial photography that deserves a prominent place in the bookcase or on the coffee table. ... As a Tornado fan I'm certainly glad to have this title on my shelf. ... This book is stunning. I saw something on Facebook about the Machloop earlier this week and it gives me food for thought about a trip to Wales to see things for myself. If a trip there is a geographical impossibility for you, then this book may well be enough to sate your appetite for big noisy jets in confined airspace. But there is so much more to this book. Brilliant. Ancient scripture’s multi-armed destroyer of worlds is writ large in the Tornado, the RAF’s awesome harbinger of death and destruction that can fly missions day or night in all weather, even in a snowstorm. This, the author’s second book in his mini-series of photographic essays that pay homage to three singular RAF warplanes, focuses on the impressive Tornado Multi-Role Combat Aircraft (MRCA). Leek’s latest volume is also well-armed - with a sumptuous collection of over 350 full-colour digital photographs taken by eight amateur photographers. Some traipsed up mountains to places where even goats fear to tread, just to capture heart-stopping images of low-flying Tornados. There are truly arresting images of this warplane, mostly airborne and bristling with gadgets and weaponry that are the stuff of schoolboy dreams and enemy nightmares. The supersonic Tornado is a variable winged, twin-seat, twin-engine, strike, reconnaissance and interceptor plane that operates at low-level or high altitude carrying a formidable array of stores. The author lays out the salient design features and technical specifications of the Tornado in RAF service, including the interceptor variant. And, through time-lines, he traces the plane’s upgrades in avionics, weapons delivery capability and reconnaissance systems, explaining in forensic detail why the GR4 has proved to be one of the world’s most effective warplanes over the past 30 years. 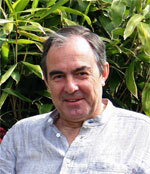 Leek emphasizes the importance of flying hours for pilots to get to grips with plane. And he sounds a warning about ill-considered cost-cutting, by successive governments and incompetent senior civil servants mired in short-termism, that fails to look to the future and plan accordingly. The author explains the variable wing geometry of the Tornado and each aircraft’s sometimes unique markings. We come away with a deeper understanding of airmen’s decorative terms: raspberry ripple, double-armed cross, gold star, green bat, and stabbed cat. There is even a disquisition on the plane’s various national colour schemes, with the Germans emerging as masters in the art of military aircraft livery. Leek also provides a comprehensive list of all Tornado squadrons in service in the UK and abroad. 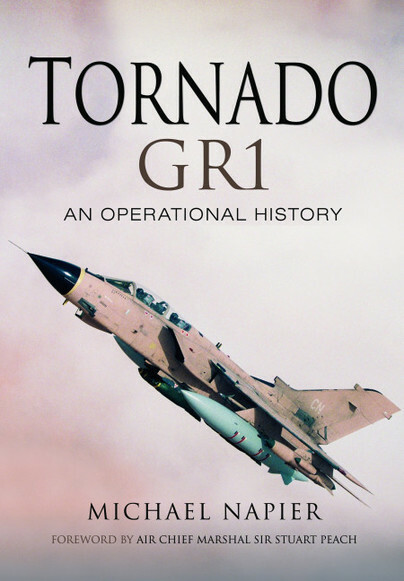 This is supplemented with details and images of the Tornado in service with German, Italian and Saudi Arabian air forces, and a record of the GR4’s operations in all theatres of war since 1990. The author highlights the proven combat record of the Tornado over three decades and laments the impending retirement of the GR4 from frontline RAF service (the F3 has already gone). He regards the decision as unwise, suggesting it seriously reduces the UK’s capacity to meet short and long-term global threats in an increasingly uncertain world. Michael Leek rounds off this thrilling biographical visual portrait of the awe-inspiring MRCA with a comprehensive bibliography and index. Next up, the Harrier, the flying bedstead no-one thought would ever take off. 'I am writing to congratulate you on the magnificent collection of photos that make up the book The Panavia Tornado - A Photographic Tribute. I flew the Tornado GR4 between 2004 and 2011, and the images bring back fond memories indeed. 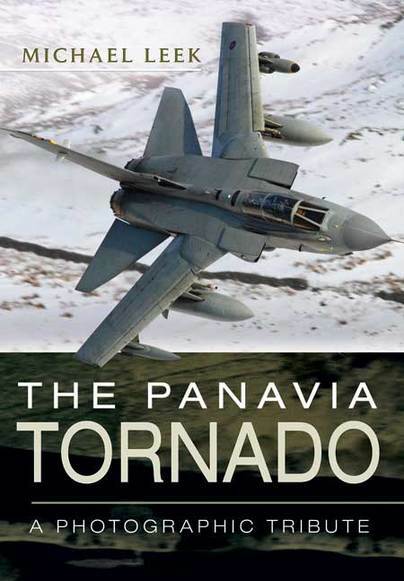 'Ordered The Panavia Tornado book! Always look forward to reading books by Michael Leek. The latest book is brilliant, by the way. I can't stop reading it, much to my wife's annoyance!